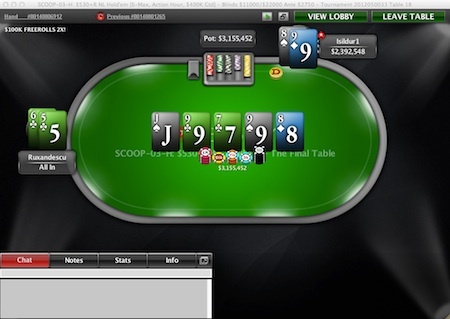 Following winning the PokerStars Spring Championship of Online Poker (SCOOP) #2-M $215 NLHE event, ‘Isildur1’ took down the #3-H $530+R NLHE 6-max event, too. PokerStars pro Viktor ’Isildur1’ Blom accomplished something big on 6-8 May; despite the fact he has been always considered primarily a cash game and heads-up specialist, he has just taken down two consecutive SCOOP events. In addition to besting a field of 8,240 in the #2-M $215 NLHE event for $247,200, he also won the #3-H $530+R NLHE 6-max event. First out was ‘snake8484’, eliminated by ‘Isildur1’, then ‘B4d3m3!st3r’ ran into ‘Ruxandescu’s’ aces. 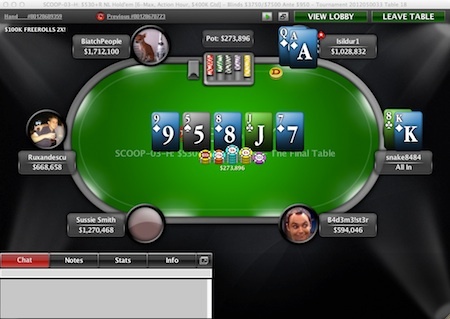 ‘Isildur1’ was once again in the lead, flopping a top pair against a nut flush draw, and eventually won the final table with another all-in on the flop. 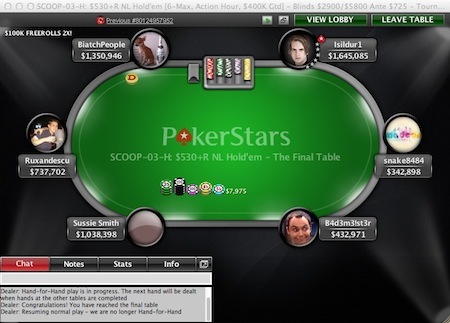 Blom got $160,000 for his finish and the honour of being a double SCOOP champion. Do you also want to play in the SCOOP? Enter the Rakerace.com $1 exclusive SCOOP madness tournament on 13 May for one of the 12 SCOOP tickets worth $109 each.